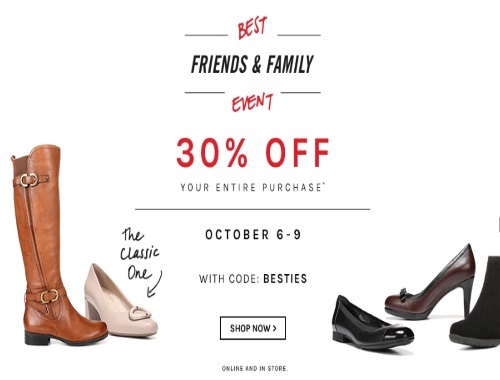 Naturalizer has a Best Friends and Family Event on now! Save 30% off you entire purchase with the coupon below! Every order also includes Free Shipping! Enter the promo code BESTIES at checkout. Offer ends October 9 at 11:59pm CST. Click here to browse Naturalizer.